I’ve been doing more egg experiments this time with egg whites. Have been using Liquid Egg white to save wasting so many eggs as there have been lots of tests to do. The advantage of using Liquid Egg is that I can measure the egg white to use to experiment. 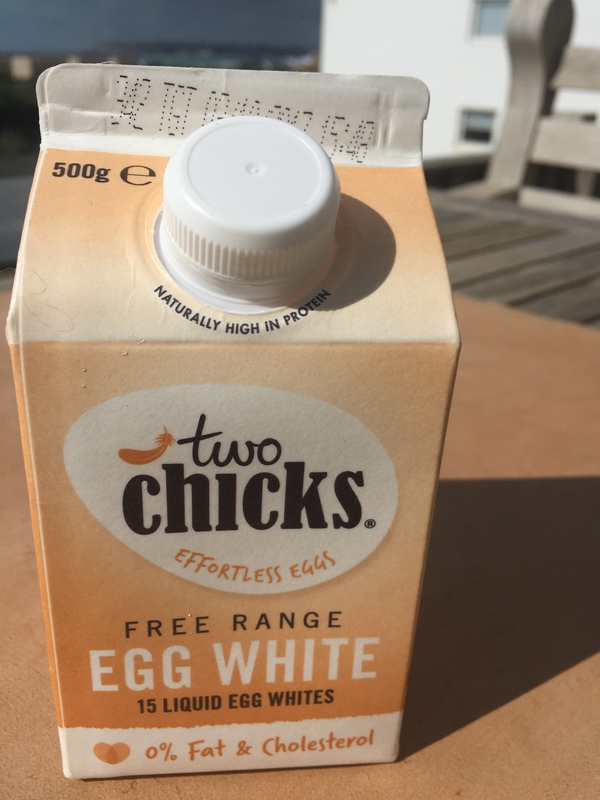 My egg whites from eggs measured different amounts in millilitres so I had to beat some together then measure the same amount for experiments. Love Food Love Science have an excellent website showing egg white foam experiments and the science behind egg white foam formation. Protein foam formation shows how additives affect the stability of egg white foams. The age of an egg affects its foaming ability and you can see the IFST.org tests here. What whisk to use? 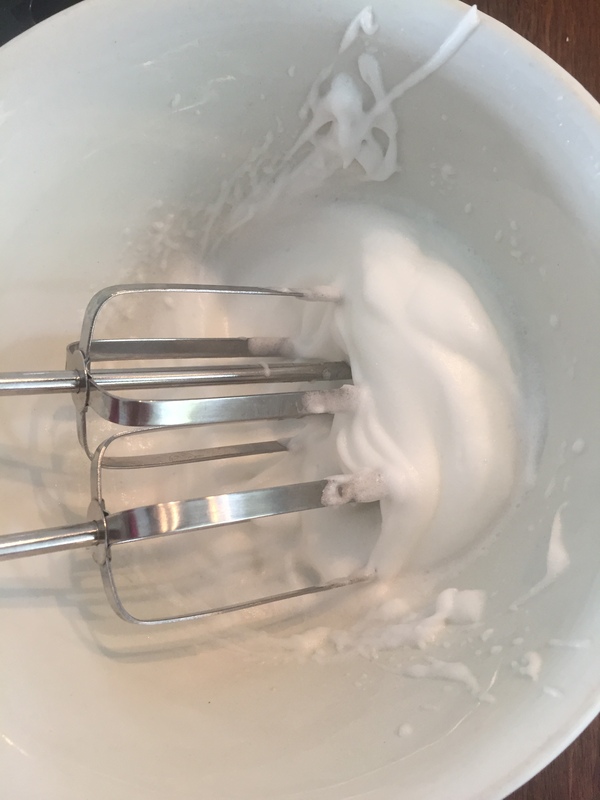 I found that electric whisks were best to get a fair test for experiments as you can time the whisking time and level of whisking. Put in the basic meringue recipe in Ingredients. 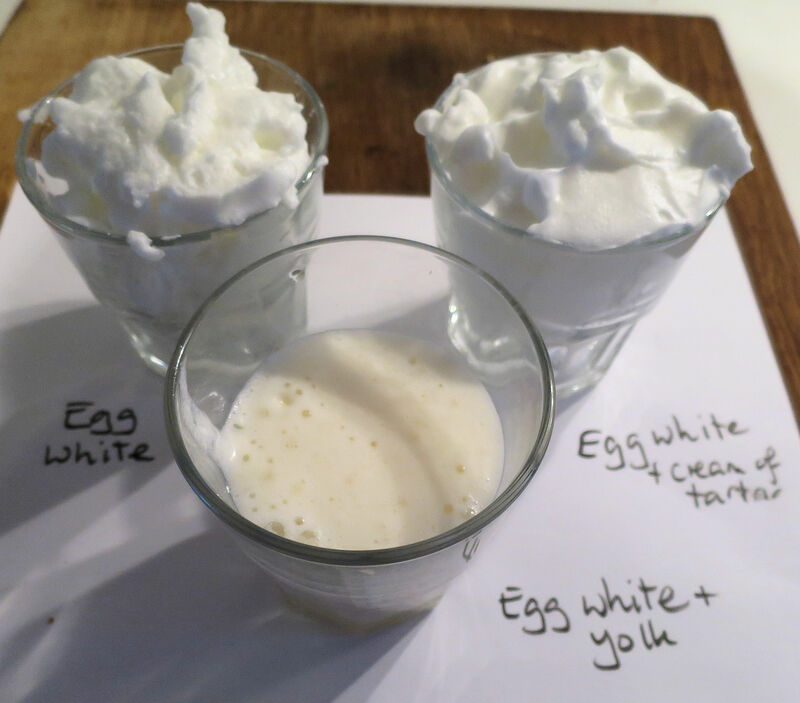 I’m testing to see what happens when I add oil, vinegar and cream of tartar to egg whites. 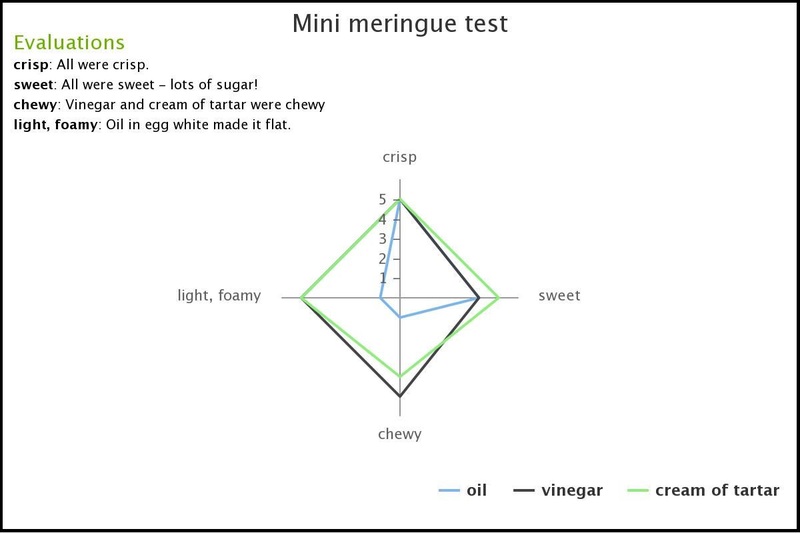 For each Taster put in oil, vinegar and cream of tartar. 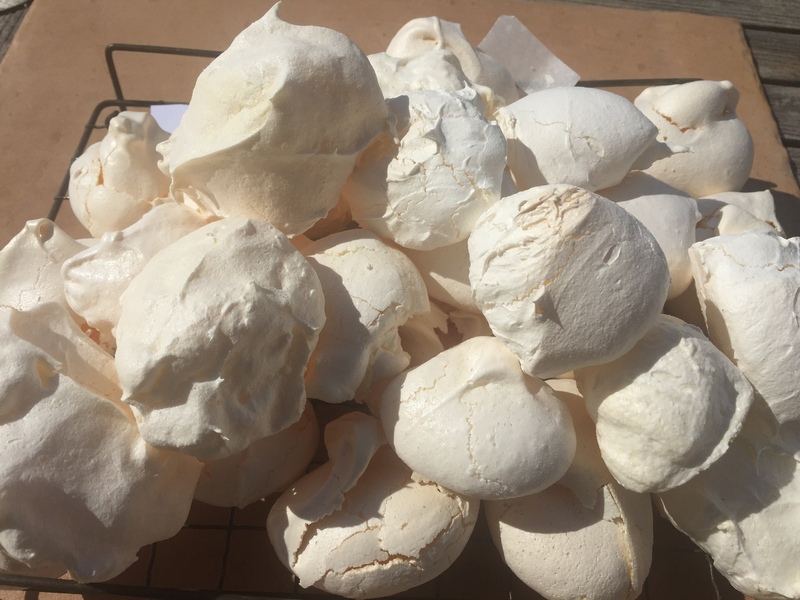 Then tasted the meringues and given each a mark out of 5 where 0= not and 5= very. 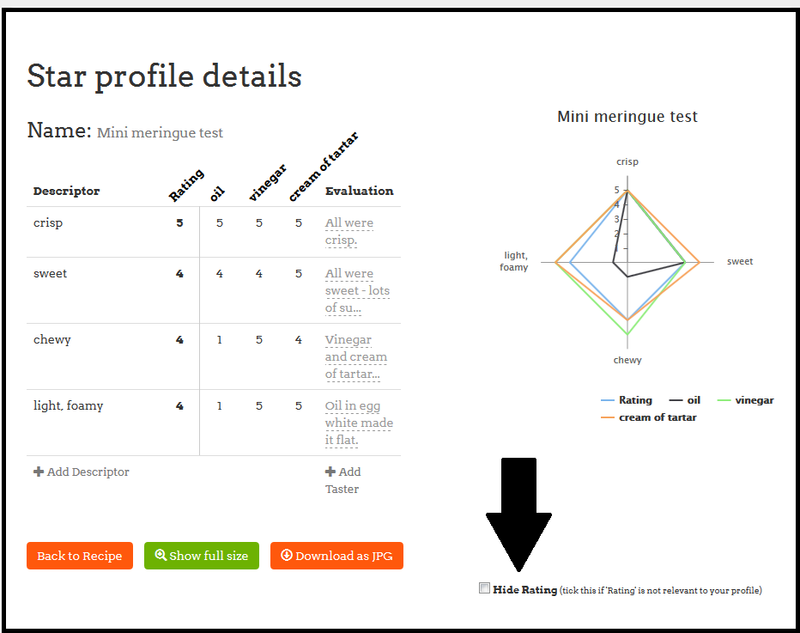 I can now see the Star Profile with each meringue tasted.